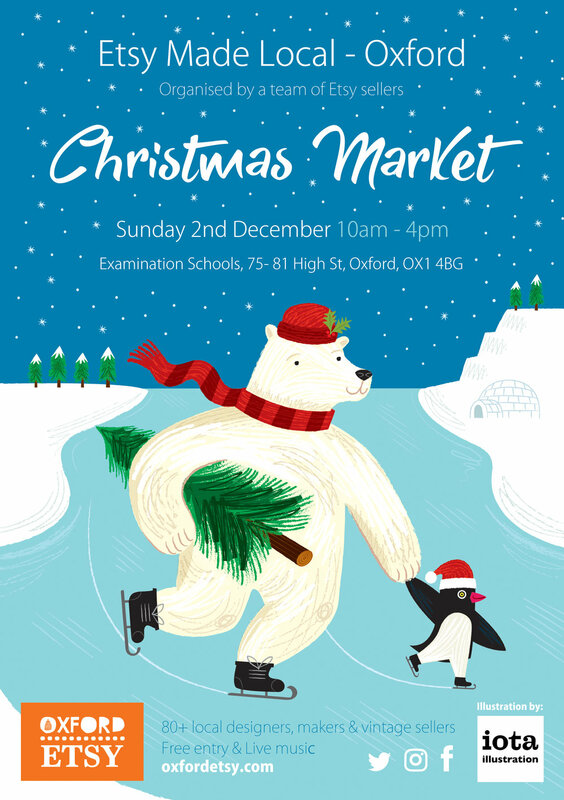 With over 80 local designers, makers and vintage sellers taking part in a pop up Christmas market in the beautiful setting of the Examination Schools in Oxford. There will be a huge range of items including; art, stationary, homeware, decorations, jewellery, ceramics, paintings, clothing, woodwork and leather goods. 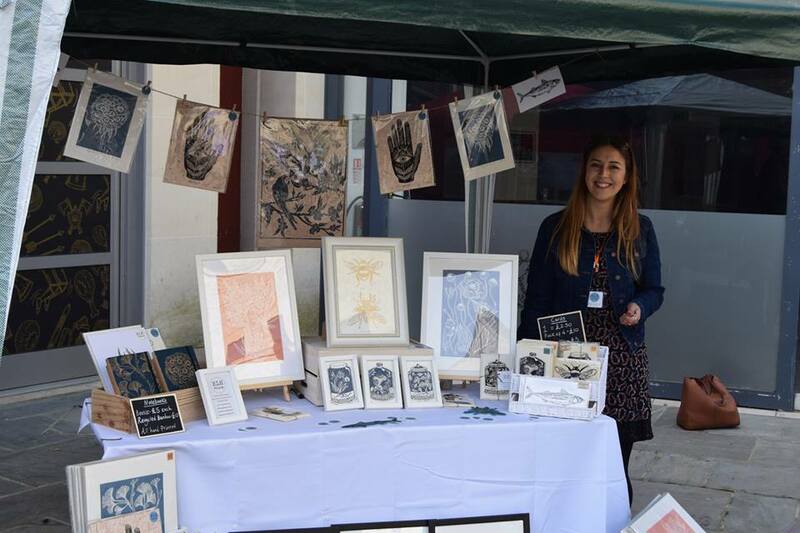 The event is organised by a team of local Etsy sellers, Etsy is a global online marketplace fro handmade, craft supplies and vintage items. This year 16 of our team members were chosen to take part in Oxford Christmas Market located in Broad Street in the centre of Oxford. The outdoor market runs over 16 day from 7th -22nd December 2018. It’s on from 10am-6:30pm and until 8pm on Thursday, Friday and Saturday. We will be having a different Oxford Etsy seller there each day, which you’ll be able to find at the Oxford Etsy wooden hut. We're hosting another market at the Oxford Castle Quarter on Sunday 26th August from 10am- 3pm in the grounds of the castle. 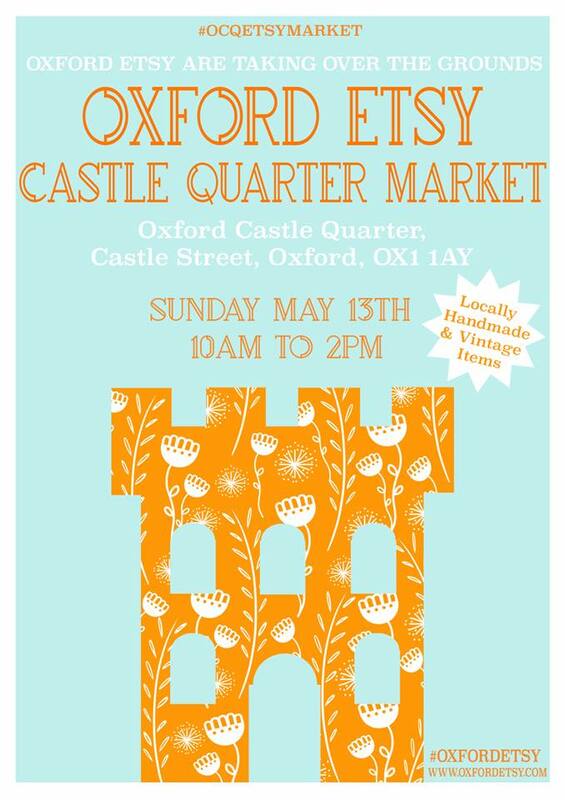 The Castle Quarter has invited us back for a second Oxford Etsy Market after the success of our May one. We'll have over 35 seller across the entire grounds of the castle. All handmade and local sellers ranging from candles, prints, photography, art, paintings, jewellery, vintage items, ceramics and stationary. on Sunday 3rd December from 10am-4pm. 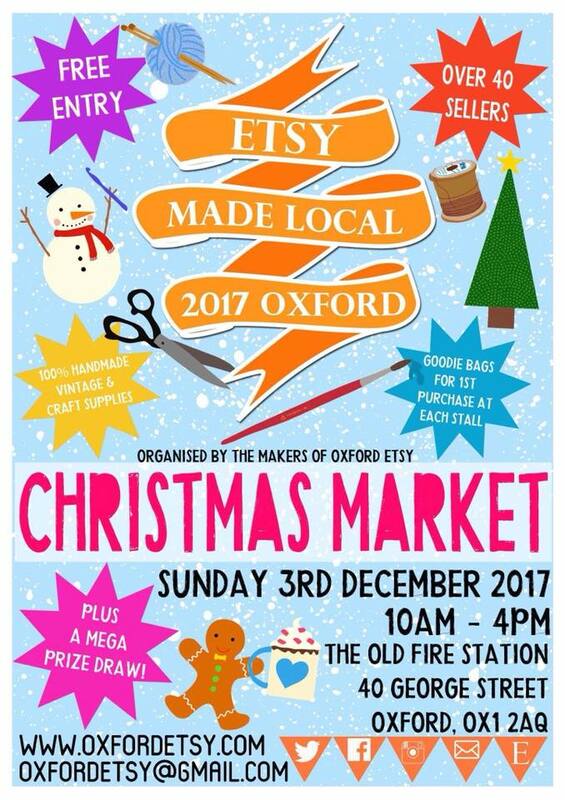 Members of the Oxford Etsy Team will be selling a range of unique handmade gifts, vintage items & craft supplies. We'll be giving out goodie bags to the first person to purchase from each stall. We also have a prize draw you can enter which is £1 per ticket with the chance to win an item from every seller worth over £500 - tickets can be purchased from the Abingdon pop up shop, any sellers that will be at the event or on the day. the prize will be drawn at 4pm on 3rd December. Check out all the Etsy shops that will be taking part here.